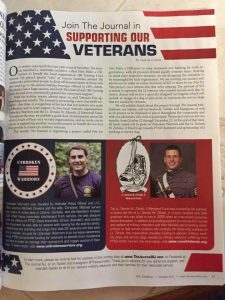 Local NJ publication, The Journal, is a huge supporter of veterans, active military men/women, and nonprofits that work with these individuals. 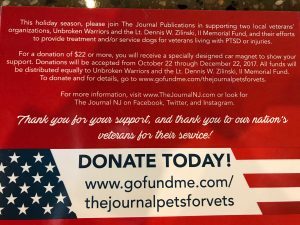 The Journal started an amazing fundraiser that will help us get veterans into trauma treatment and help those men and women get service animals if necessary. We are blessed to have such a great support system here in NJ! !